jwc is a management consultancy firm focusing on the trade fair and conference business as well as related business areas. jwc was founded in 2008 by Jochen Witt, former President & CEO of Koelnmesse and President of UFI. Over that last 10 years the company grew strongly and today jwc is active in all relevant trade fair countries of the world. 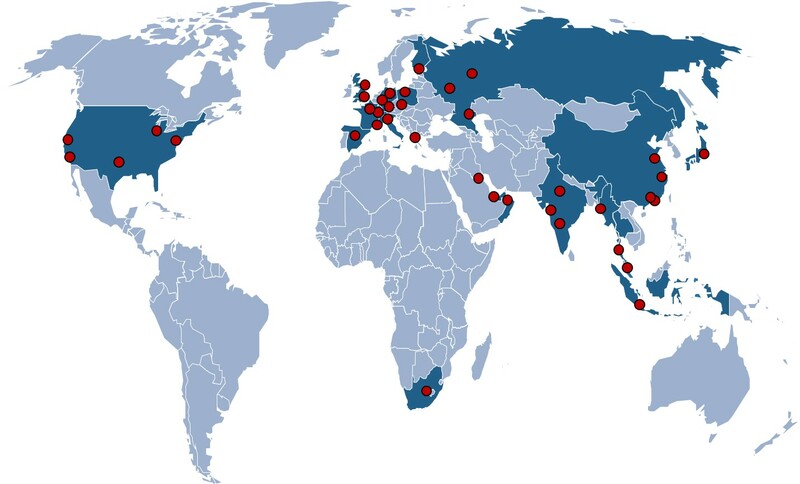 The map shows where jwc has successfully completed projects.